SHOUTcast is delivered in the XS4ALL data centre in Amsterdam. 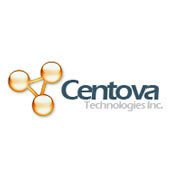 You can choose to use a control panel such as Centovacast with it. This gives you more control over your streaming product en enables you to see statistics. We can also deliver the very latest SHOUTcast v2.x. We can also deliver a special KH version which works perfectly with AAC+ and flash. We deliver and we can help you with the installation of Sam Broadcaster Pro, ProppFrexx on air. There are more programs that can also help you, such as tool breakaway stereo sound processing and AGC settings in Sam; we can always give you advice.